Reliable and robust signal transmission. 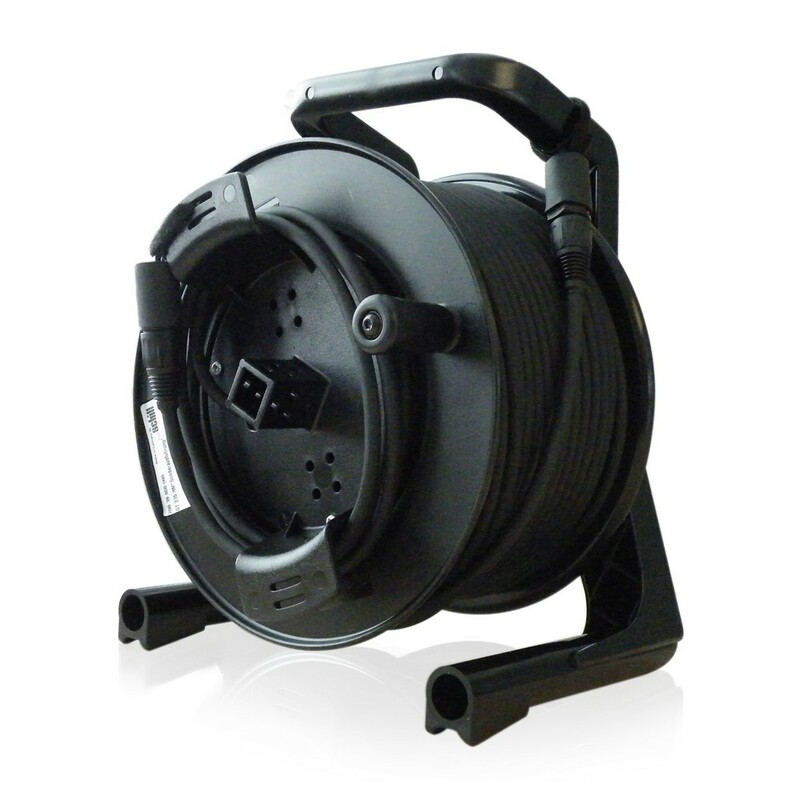 The Klark Teknik Tour-Grade Cat5e Network Cable is a 50-metre reel spooled on a lightweight Schill cable drum. The ruggedised etherFLEX cabling boasts an incredibly durable design that is perfect for portable pro-audio uses. Designed for long cable runs of AES50, Dante, EtherSound, CobraNet, AVB audio networking, or even general-purpose Ethernet, you can take advantage of dependable signal transmission with high-performance components. 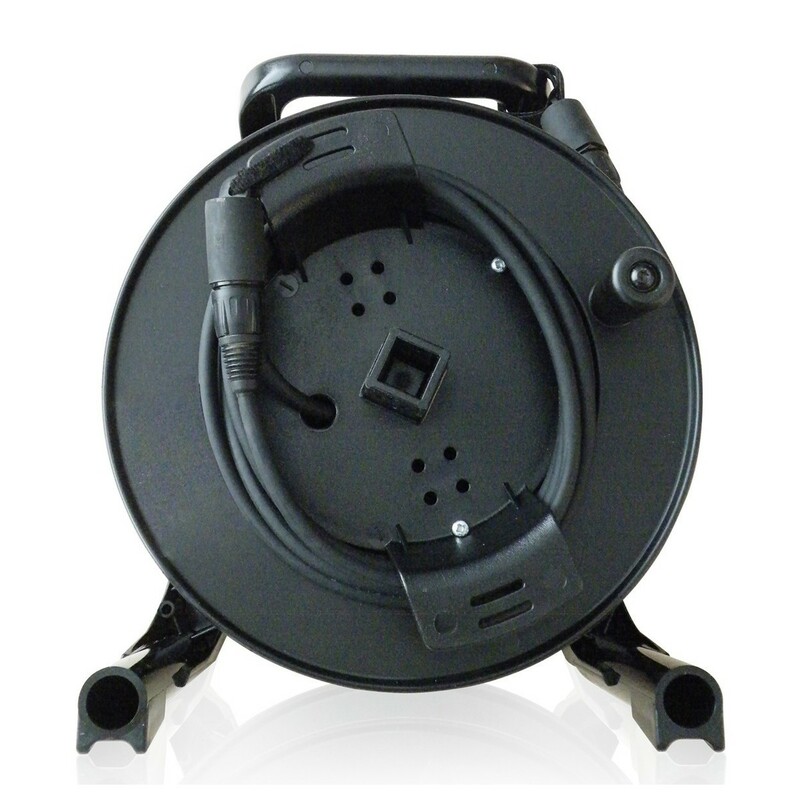 The cable itself features a dual-jacket construction with outstanding handling characteristics. Hirose RJ45 terminals and protective Neutrik etherCON connectors provide reliable connectivity, whilst dual-shielding ensures excellent protection against EMI, RF, and ESD interference. When you're all done using the cable, the drum's Velcro straps keep your cable ends secure for hassle-free transportation. Designed using the highest-quality components and materials, the Klark-Teknik Tour-Grade Cat5e Network Cable is the perfect solution for network signal transmission. Utilising ruggedised EtherFLEX cabling, this robust cable is built to withstand the demanding nature of daily use significantly better than cables with solid wires. The stranded pairs are surrounded by conductive foil as well as braided shielding, offering exception EMI, RF, and ESD rejection. Plus, with a rugged outer FLEX PUR jacket and internal FRNC jacket, this 50-metre reel of cable boasts significantly-improved handling properties. With the ability to combine two 50-metre reels into a single 100-metre cable with a Neutrik NE8FF connector (NE8FF not included), it is the ideal choice for a vast range of situations. Robust and effective. 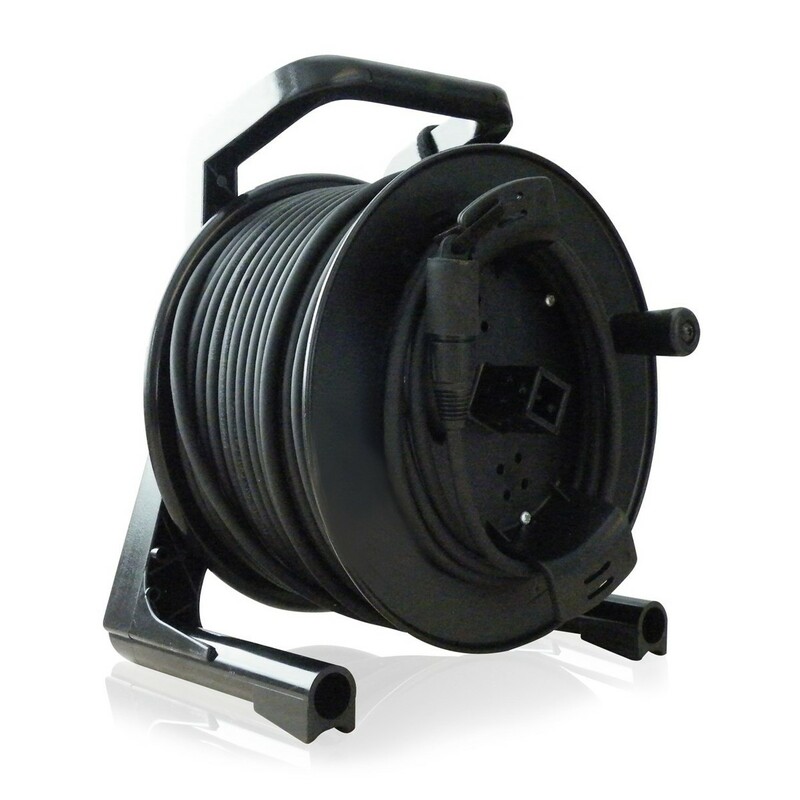 The Klark Teknik Tour-Grade Cat5e Network Cable has been spooled onto a resilient Schill cable drum. It is constructed from a practically-unbreakable synthetic rubber material, offering the rugged characteristics of steel but with a much lighter overall weight. 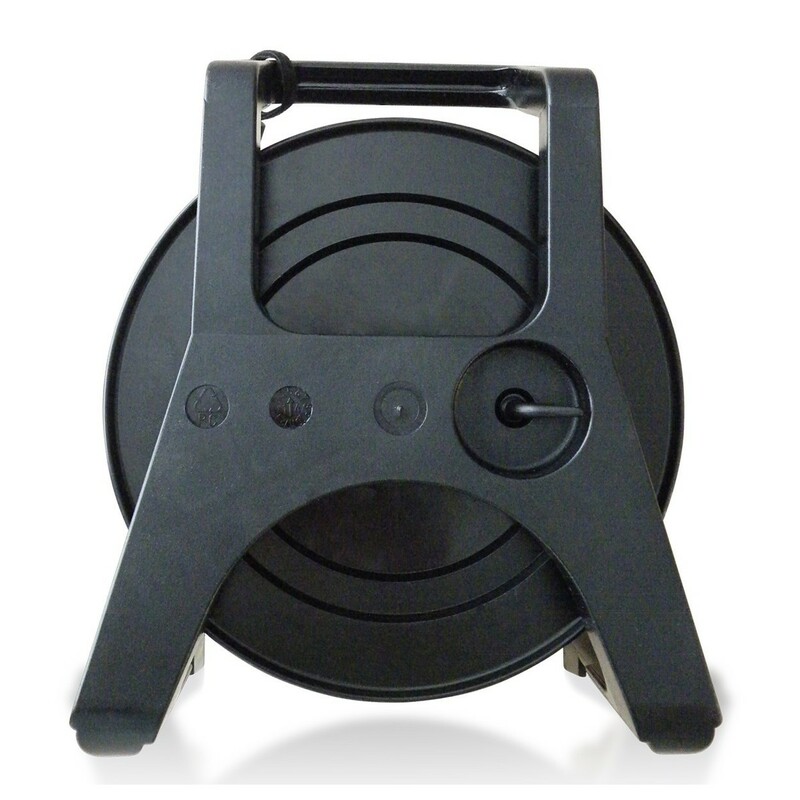 The drum can be used with confidence in extreme temperatures, and is resistant to chemicals, oils, and petroleum. Plus, with integrated adjustable break stops, inadvertent drum rotation is prevented. When it comes to transporting your cable, rubber caps on both ends of the etherCON connectors protect the RJ45 terminals, whilst the drum's hook-and-loop fasteners keep your cable secure.